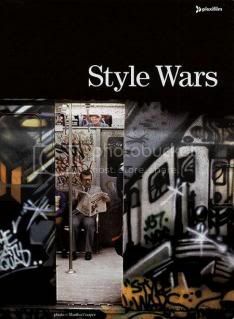 The modesty in which Henry Chalfant and Tony Silver approach their subject matter is what makes Style Wars so relatable. 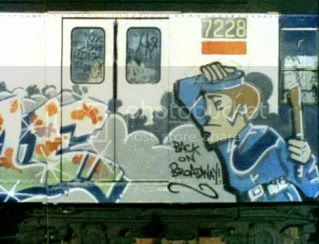 The film is just as much about the graffiti that imbues 1980s New York as it is about the people and cultural movement behind the artwork. The argument as to if graffiti ought to qualify as art is discussed, but the joy of Style Wars stems from how nonchalant such a discussion is proposed – Chalfant and Silver are less concerned with the answers, less concerned with the right and wrong attached to the actions, and more concerned with immersing the audience into a unique world. The handheld camera element Style Wars adds to the sense of guerrilla movement through the streets of New York. We are displaced, led through a maze of abandoned subway tunnels, as flashlights hint at the larger mass of graffiti that surrounds us. Chalfant and Silver allude to this sense of unknowning from the onset of their film, as a passing public train is shot at night, with track lights illuminating the side of the train – we gather how the train is used as a canvas from this point on. The directors hint at the larger cultural purposes behind the graffiti, though I found their analysis on the topic to be a bit too half-hearted due to their forced neutrality. This is perhaps the greatest flaw of the film – questions are posed and discussed, though at times, there’s a preoccupation with trying to remain neutral. This is particularly evident in Chalfant and Silver’s inclusion of the other side – lawmakers and “ordinary” citizens are interviewed in talking head segments that rarely serve to enlighten the discussion. Perhaps that’s the point? The artists helming such grandiose graffiti projects may not be the most educated, by they certainly possess a level of bite and audacity to their convictions – you get a sense that they live and die for their art. That visceral quality is the lasting impression I get out of Style Wars. The film’s sampling population is composed of people who want to make a name for themselves but don’t have the resources to do it the traditional way. They crave to be seen, to be understood, and to be appreciated. One of the recurring interview segments involves a young black boy and his mother. The boy discusses why he does the art, while his mother is distressed at the very idea of what he’s doing. In a way, I can sense the frustration on both ends – they both want the same thing, but it’s the method in which it should be reached that divides the generations. Though the boy’s mother, I believe, is limiting the canvas of possibilities for her child – the boy is trying to expand on it. 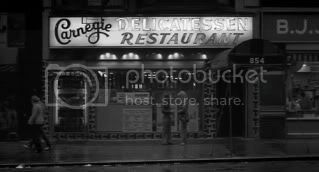 Woody Allen adopts an Ikiru-esque framing device to tell the story of entertainment promoter Danny Rose (Woody Allen). Various comics and entertainers share stories about Danny Rose – with the centerpiece story revolving around Danny’s commitment to nostalgia-act Lou Canova (Nick Apollo Forte). As the narrator notes, Lou is an alcoholic, and was popular when he was younger. But with age, he has withered away into obscurity. Though with Danny’s help, he hopes to once again become a star. While married, he has found himself smitten by a young interior designer named Tina (Mia Farrow). Danny’s commitment to Lou is not entirely selfless, as Danny’s string of failures have forced him to reevaluate his life. But even with that, there’s something genuine about their relationship. A friendship between them exists. That friendship may be incidental to Lou, but to Danny it means a whole lot more than a business arrangement – they’re best of friends. So when the management-client relationship disintegrates, there’s something genuine and heartfelt in the way it all falls apart. Lou sees it one way, Danny sees it another. This ranks up high on my list favorite Woody Allen films in the way it blends comedy and poignancy. But even beyond that, Allen’s sense of bitterness is surprisingly toned down – as Danny Rose, Allen is surprisingly optimistic about his future despite his getting on in age. Themes of friendship and commitment are reinforced throughout the narrative - entirely noble traits that go against the grain of typical Allen films. Broadway Danny Rose stands as Allen’s finest performance as an actor, and one of his best films in general. Well, after a track record of nine excellent films, I was bound to come across a disappointment from Altman. 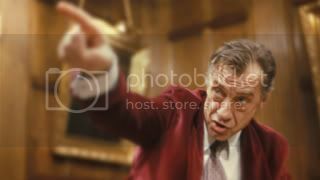 Secret Honor functions primarily as a one-man play (it was, unsurprisingly, adapted from the stage), with the talented Philip Baker Hall assuming the role of Richard M. Nixon. The film takes place in his study, as Nixon recounts his life in recorded memoirs. Portraits of former presidents and his mother occupy his room, as his mental health progressively disintegrates. My biggest problem with the film is not knowing what to make of Hall’s performance. The scenery is inhaled, thrown up, and chewed over again, as Hall overacts his way throughout the entire picture. He outlandishly vocalizes one idea while beginning a new one, never completing a thought. It’s effective in portraying Nixon as an unstable, border-line insane individual, though I can’t say that had to be the intended effect. The formal elements of Secret Honor – the foggy lens, the abrupt zooms, etc – are typical Altman. But the fact that this is so driven by one character makes me uneasy to accept this as an Altman film at all though – there’s no lingering sense of community here. Altman does shed light on the paranoia and overriding pressure that overcame Nixon – his commitment to his mother and desire to do right are noble traits that were unfortunately misinterpreted by the public. Nonetheless, the film simply lasts for too long and becomes repetitive. Hall’s performance is an anomaly though, and worth a look.